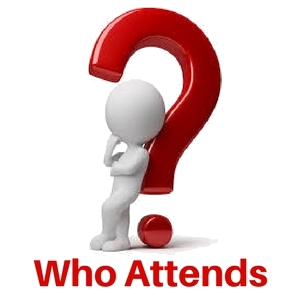 ME Conferences organizes 300+ conferences, 500+workshops and 200+symposiums on Clinical, Medicine, Pharma and Science & Technology. 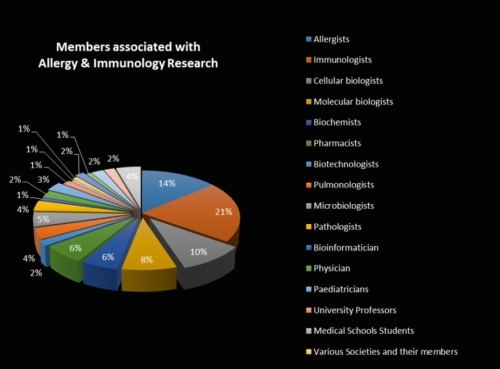 Immunology events are every year across UK, Europe, Asia, Middle East, Australia and USA that support immunology conferences from 1000 more scientific societies and Publishes 100+ open access journals which contain over 30000 eminent personalities, reputed scientists as editorial board members. Allergy 2019 comes under Immunology medical conferences. With the coordination of the Organizing Committee, we are gratified to framework the program for the 14th International Conference on Allergy and Clinical Immunology, November, 2019 in Bali, Indonesia. Our conference includes a well-proportioned cast of speakers, covering both generous and precise topics. Our conference intents to provide allergists, immunologists, cellular and molecular biologists, biochemists, biotechnologists, microbiologists, pediatricians, physicians, specialists, doctors, technologist, professors, students and anyone professionally involved in Allergy and Immunology Care with an opportunity to learn about the multiplicity of the Immune system, discuss interventional procedures and reactions, look at sophisticated therapies and their efficacy and efficiency in the treatment of various immune disorders, and comprehend practical constraints in improving healthcare. The Allergy 2019 will be organized encompassing the theme “Cracking the code on Allergies & Immune Disorders". Allergy 2019 is comprehended of 18 tracks designed to offer widespread sessions that directs current issues in Allergy & Immunological research affairs. This is a distinctive international meeting where allergists, immunologists, biotechnologists, pulmonologists, microbiologists, pathologists, bio-informaticians, physician, pediatrics and immunology professionals can meet their colleagues from around the world and exchange ideas and new information in the field of Allergy and Clinical Immunology. 14th International Conference on Allergy and Clinical Immunology is among the World's leading Scientific Conference. The two-day event on Clinical Immunology and allergy practices will host 60+ Scientific and technical sessions and sub-sessions on innovative researches in the field of Allergy and Clinical Immunology across the globe. Allergy 2019 will constitutes of 15 major sessions designed to offer comprehensive sessions that states current issues in the various field of Allergy and Clinical Immunology. Clinical immunology deals with the study of diseases caused due to the disorders in the immune system. The disorders may be failure or aberrant action of immune system and sometimes due to malignant growth of cellular and molecular components of immune system. Hence cellular biology, molecular biology fields of science come into picture. Immunology deals with the study of several components of immune system, the immune reactions and mechanisms. Clinical immunology and allergy is a specialty of renewed interest and untapped potential. It covers several fields like pathology, biochemistry, biotechnology, genetics, pharmaceuticals, medicine etc. The study of these fields give hope to research and taps career for immunologists, cell biologists, molecular biologists, biochemists, bioinformaticians, allergists, physicians, microbiologists, pediatricians and so on. Allergy is the condition of adverse reaction of immune system towards any foreign substance. Allergy is of different types depending on the allergen (causative agent) and the diagnosis and treatment for each type varies. The branch of biology and medicine which deals with the study of immune system in different organisms is immunology. The study covers the several components of immune system, their production, synthesis, function, pathway mechanism etc. The immune system comprises of several components like lymphoid cells and organs, Hematopoiesis, Immune receptors and co-receptors, Major histocompatibility complex (MHC’s), Antibodies and Cytokines, Transcription factors, Cell adhesion molecules (CAM’s) etc. These components play a vital role individually and in a group in an organism’s life against several infections and pathogens. Immunology field of study is an aggregation of several other fields like biology, cellular biology, biochemistry, nanotechnology, molecular biology, biotechnology, bioinformatics, computer science, sensor technology, pathology etc. The field has widened and progressed in several aspects which can be further discussed under the track. Each immune component has its own mechanism pathways for production and function. Molecular and cellular factors involved in these mechanisms must also be studied to get an insight on the immune system and discover solutions for any immune disorders. Molecular and cellular mechanisms which mediate allergic inflammation involve several multiple mediators, cell type and lymphocytes/ interleukins pathways. Allergy or allergic diseases is caused due to hypersensitivity of immune system in response to the genetics or environmental factors. The symptoms range from Rhinitis, inflammation, Allergic urticaria, Atopic eczema, Conjunctivitis, Angioedema and Anaphylaxis. The cure for several involves therapies, vaccines, Antihistamines, Decongestants, Moisturizing creams (emollients) and Steroid medication. Allergy is one of the most adverse immune reaction faced worldwide by people which is next accompanied by inflammation. The set of conditions caused by Hypersensitivity of the immune system in response to any foreign substance is allergy/ allergic diseases. It may arise due to genetic or environmental factors. The causative agents are termed as allergen and they may be food, drug, dust, pollen, animal dander &fur etc. varying for each individual. Mostly allergen immunotherapy is the advanced therapeutics method to treat the allergies. Allergic and Inflammatory Reactions are caused by the immune system but if the reaction becomes adverse then the condition becomes chronic for an individual. The causative agents for such adverse reactions could be genetic, environmental, pathogenic and synthetic compounds. The localized body part which gets red, swollen, hot and painful after an injury or infection is an condition termed as inflammation and it might be due to allergy: Allergic inflammation or due to tumor. Inflammation can be acute or chronic and it consists of different types based on the part of inflammation. Immunity of every individual varies hence the immune reaction by a person to specific food or medication will be different in concern with another individual. Food allergy is immune reaction developed by the body in response to specific food and food component. Few Individuals show allergy after consumption of foods like peanuts, fruit, shellfish, eggs, soy or cow's milk due to certain compound in these foods triggering the immune reaction. Several cases of food allergy are seen epigenetically and cause is still unknown. Symptoms include skin rashes, swelling and itching inside the mouth. The condition of swollen, inflamed and extra mucosal lung airways upon infections or exposure to allergen is asthma/ bronchial asthma and the epigenetics of asthma varies accordingly. Asthma is long term chronic inflammatory disease of the lung airways caused by any specific allergen (Allergic asthma) or any other genetic / environmental factor (Non-Allergic Asthma) involving symptoms like wheezing, coughing, breath shortness and chest tightness. Research is going in a rapid pace due to increase in the asthma attack cases, mostly in children (Pediatric Asthma). Asthma allergy immunotherapy and several advances in treatment can be discussed in allergy conference like this. Chronic obstructive pulmonary disease or COPD is a set of chronic inflammatory lung disease. The disease is contributed by Emphysema and chronic bronchitis. Emphysema is the condition in which the alveoli get destroyed and chronic bronchitis is the condition where inflammation of the lining of the bronchial tubes takes place. People who smoke even after having asthma or people who have long term exposure to chemical fumes, vapors and dusts in the workplace, fumes from burning fuel for cooking and heating in poorly ventilated homes are at risk of developing COPD. Rare cause for COPD is genetic disorder: alpha-1-antitrypsin deficiency. COPD symptoms don’t appear initially hence research in COPD diagnosis in enhancing as misdiagnosis can increase the risk of COPD in the person cause heart disease, lung cancer and so on. Considering the case of neonates and children where the immune system is not fully functional at birth and still developing later on, the chances of them being susceptible to infections and pathogens is high and response to vaccines is not that effective compared to adults. This could later lead to development of allergy, asthma or other immune disorders hence the care and prevention methods employed is discussed under Neonatal Immunology and Pediatric immunology. Infants receive their innate immunology through their mother either by placenta when they are in the womb or through breast milk. Asthma pregnancy i.e. if the mother has asthma then chances exists for children to develop allergy/ asthma. Children who get in contact with several foreign agents are prone to Pediatric Allergy. Disorders caused by the deficiency, failure or aberrant action of immune system or the malignant tumor growth in the immune system are immune disorders. They are several type’s namely immunodeficiency disorders (primary and secondary), Allergies and Autoimmune diseases. Allergy and inflammatory diseases are immune disorders caused by over reaction of the immune system. The diagnosis, prevention and treatment methods for all varies widening the research in medicine and immunology fields. So far the causes and treatment of several of these disorders is not discovered. Immunotherapy is one of the preventive treatment method employed against allergy and other immune disorders like asthma, rhinitis, cancer etc. Immunotherapy used to treat cancer is cancer immunotherapy, to treat allergy is allergy immunotherapy, to treat allergic asthma is Asthma allergy immunotherapy, to treat food allergy is food allergy immunotherapy, to treat peanut allergy is peanut allergy immunotherapy. It can be activated, suppressed, helminthic, subcutaneous, sublingual and adjuvant immunotherapy. The engraftment or transfer of cells, tissues or organs for the revival of body functions is transplantation and the process involves several types like Allograft, Xenograft etc. Several ethics and regulations are concerned with the process and as the number of allergy cases has increased after the transplant (Transplant-acquired allergy: TAA) the process is debated and researched for better solutions and reduced/nil allergic and immune reactions. Autologous hematopoietic stem cell transplantation (HSCT) has been used for treatment of severe immune diseases. Transplant surgery success rate is not a huge number with transplant complications and posttranplantation care but it still counts as an effort for the treatment of allergy and immune disorders. 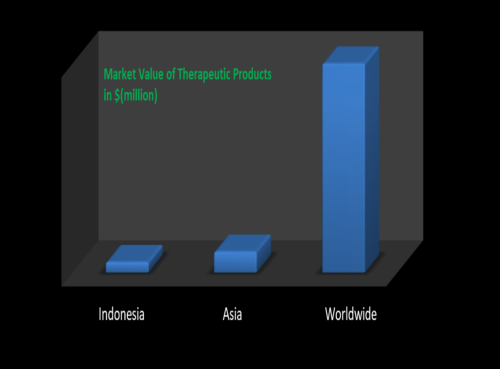 Allergy diagnostics and immunotherapeutic market is expected to increase by a huge amount suspects several market analysts due to increasing prevalence of allergic conditions. The increasing lifestyle habits, pollution and urbanization targets diseases like asthma and food allergy at a hype increasing the incidences of allergies and demanding cost effective , sensitive and accurate diagnostic products and therapeutics among hospitals, diagnostic labs and healthcare companies worldwide. The rising level of environmental pollution and the need for faster, accurate and high throughput technologies has increased the allergy diagnostics market product wise with assay kits, immunoassay analyzers, luminometers and ELISA analyzers dominating the market which is followed by inhaled allergens. North America followed by Europe, Asia and Middle East are countries accounting for allergy research and market share. 14th International Conference on Allergy and Clinical Immunology welcomes presenters, exhibitors and attendees from all over the globe to Bali, Indonesia during November 21-22 2019. The organizing committee is preparing for an appealing and informative conference program including lectures, workshops, symposia on a wide category of topics, poster presentations, young researcher forums and various programs for participants from across the globe. We graciously invite you to unite with us at the International Conference on Allergy and Clinical Immunology, where you will have an intelligible experience with scholars from overseas. Organizing committee and all attendees of Allergy 2019 look forward to meet you at Bali, Indonesia. Immunology is a branch of medicine dealing with disorders of the immune system. It includes medical diagnosis and treatment of allergy, autoimmune diseases, AIDS, inflammatory diseases etc. Immunologists study the abnormal functions of the immune system, but the study of adult and child immunology differs. Therefore, an adult immunologist (often qualified and called just “immunologist") is not fully trained to take care of children, and pediatric immunologists are inadequately trained for adults. The branch of immunology divides itself into clinical immunology, fetal/neonatal immunology, pediatric and many others based on the individual category, immune system and applications. Prevalence of immune disorders namely allergies are increasing worldwide however compared to developed countries like USA, Australia and Europe, Indonesia has a lower rate of allergy reports. Recently though studies have found that there have been slight increase in asthma and food allergy cases among children and few adults in Indonesia. Bali being one of the top 10 tourist destinations has travelers and tourists facing food allergy and asthma cases more than locals. Conference Series LLC Ltd hosted the “13th International Conference on Allergy & Clinical Immunology” during December 13-14, 2018 Abu Dhabi, UAE at Hotel Bab AL Qasr with the theme “Emerging Therapeutics for allergy and immune disorders”. Benevolent response and active participation was received from the renowned experts and Editorial Board Members of Conference series Journals as well as from the Immunologists, Scientists, Researchers, Students and Leaders in Allergy & Immunology, who made this event successful. All the above mentioned Honorable Guests and Keynote speakers gave their energetic and fruitful contributions. Special thanks to our Moderator Naren Pandey, Allergy Asthma Centre, India for his remarkable contribution towards smooth functioning of Allergy 2018 Conference. 13th Allergy and Clinical Immunology conference was a great success with the support of international, multi-professional steering committee. We are happy to announce our 14th International Conference on Allergy and Clinical Immunology, which will be held during November 21-22, 2019 in Bali, Indonesia.